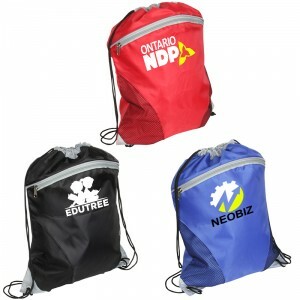 Popularize your logo from over this custom cyclone mesh curve polyester drawstring backpack. 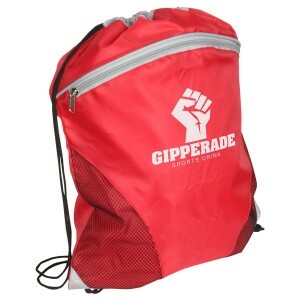 This backpack not only offers large imprint space for logo, but also great storage space and boosts the style quotient of the user. 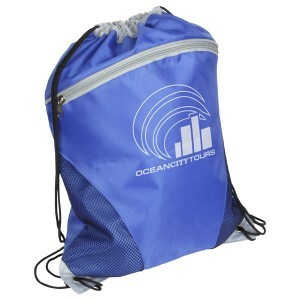 Featuring prominent imprint area, this drawstring backpack becomes one of a choice for marketers working in constrained budget, but harboring long term promotional plans. We offer attractive value savings on bulk orders. Free shipping, free online design proof and free art set up offered on all orders. 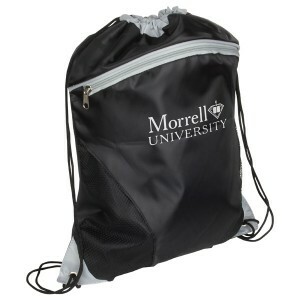 Request a quote to know price savings that you can expect on bulk ordering these promotional cyclone mesh curve polyester drawstring backpack . 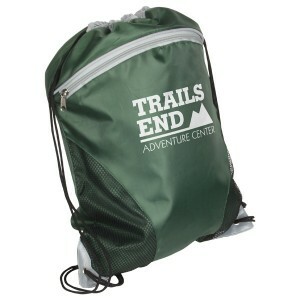 Features- Stylish two-tone 210D polyester with curved mesh pocket. Drawstring closure main compartment. Zipper on front pocket. Item Size: 14" x 19". Imprint area- Front (under the zipper 5.5" x 5.5") and Front (Top to Bottom 3" x 10"). Imprint Area : 5.5" x 5.5"
Product Size : 14" x 19"